This statistic shows the overcrowding rate for households without dependent children in Hungary from 2008 to 2016. 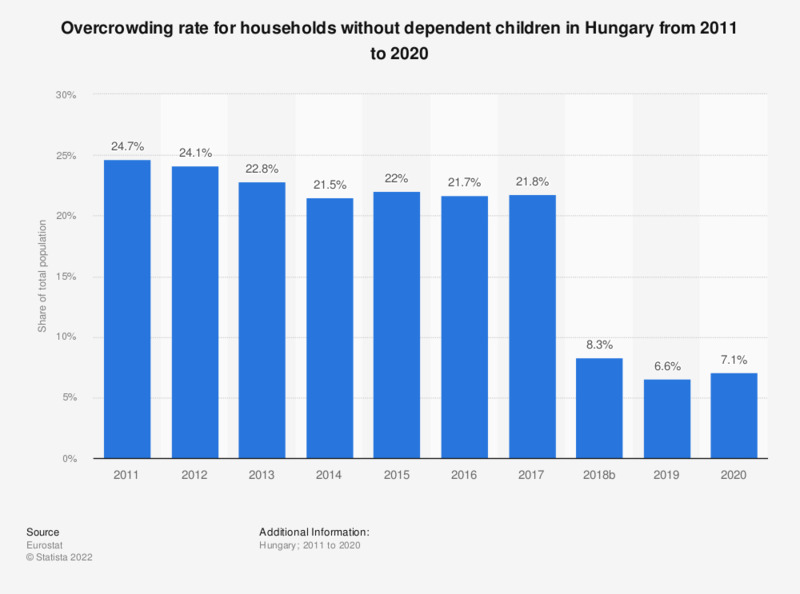 In 2016, Hungary had an overcrowding rate of 21.7 percent for households without dependent children. Data coverage corresponds to code HH_NDCH of the EU-SILC survey.